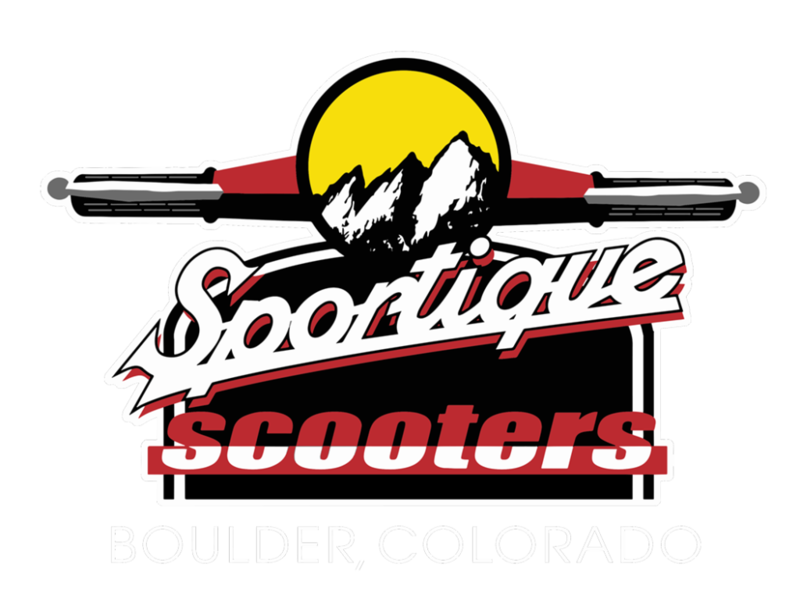 Sportique Scooters is the best choice in Boulder for superior scooter sales, maintenance, repairs, parts and accessories. Because we are scooter lovers ourselves, we know and understand the needs of our customers. Whether you’re a first time scooter owner, or a lifetime enthusiast, our knowledgeable staff is happy to help get you on the road. 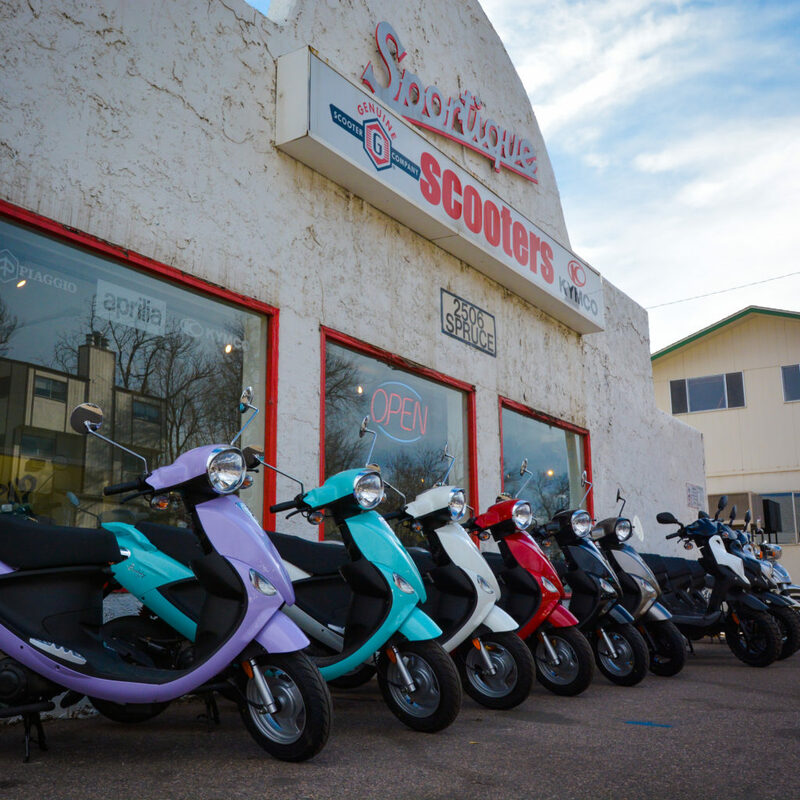 Stop in today for a test drive of the most popular brands of scooters, such as Genuine, Kymco, Lance and Vespa. 100% Honest and Reliable. Caring. It is obvious the JP loves his profession and is excellent at it. Called ahead and made an appointment to get my tire replaced on my People150. They were fast to get going on the job and very helpful with a few questions I had. They test every scooter after a repair and make recommendations on anything else that may need to get done. That’s good service. I’ll be making another appointment soon to get some other work done. Thanks guys! I love Sportique. For 3 years JP and now Tyler have managed my Scooter (Vespa 300GTV) maintenance and many questions. They keep me running safe and sound. Thanks Guys, You Rock. Great experience. Tyler and JP helped us noobs find the right scooter at the right price. They broke down everything for us, and we were able to test drive 4 scooters to get a feel. Went out to look at other shops and on craigslist, but came right back to Sportique in Boulder to buy a bike. Good people. I look forward to working with the crew in the future. Great service. Super friendly and helpful. Had issues with scooter due to other shop, these guys had mine scooter up and running better than ever in a day. Would highly recommend going to bring your scooter to service.